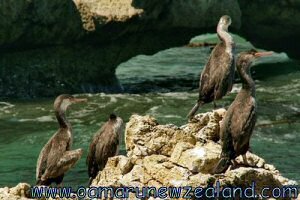 Enjoy the best way to discover where Oamaru is: on a self drive through New Zealand following the easy instructions of your GPS: available for rent at any decent car hire in New Zealand. Oamaru is located in the Otago region on the east coast of the South Island of New Zealand. It is almost midway between Christchurch in the north and Dunedin in the south. If you travel up the coast from Dunedin, the distance to Oamaru is about 113 km. The driving time would be approximately 1 ½ hours. You will be able to see breathtaking views of the New Zealand coastline if you take the coastal detours through Kakanui. It will take a little longer than the direct route via SH1 but it is well worth the effort and time to do so. If you travel down the coast from Christchurch, the distance to Oamaru is about 247 km and the driving time would be approximately 3 ¾ hours. SH1 will be the most direct route and the alternative would be SH72 which is the inland route that is more scenic and interesting. Whichever direction that you are coming from, if you use a GPS, you don’t need to know exactly where Oamaru is, the GPS will tell you how to get there. A GPS would save you lots of time and aggravation as compared to using a map. When we did the self drive to Oamaru, it was totally stress free as we were using the GPS and we thoroughly enjoyed the scenic drive.